We really love the LEGO brand at our house. We have lego toys, lego movies, we go to Legoland Discovery Center when we can. I know LEGO is a popular brand, so I wanted to share this with you all. This is not a sponsored post, just me sharing a pretty cool thing for a few lucky children! Will your child enter? Photo Books make great gifts for all occasions! 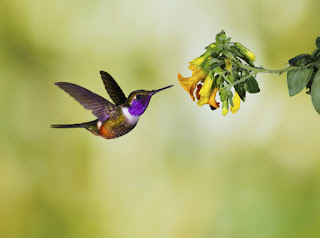 I have been a lover of photography my whole life. I have tons of photos and while they are not organized, I love looking at all of my pictures and remembering the day they were taken. Some are in boxes, some are in my lazy version of a scrapbook and there are more and more on my computer that I have never printed. I knew that I was slacking in the scrapbook department, so I wanted to print a mini yearbook / scrapbook for Broxton for each year he is in school. (At least the younger years where I am at school a good amount of the time.) I was able to get a chance to work with MPIX to print a photo book for us!!! It was super easy and he was so excited to get it!!! Do you know someone getting ready to head off to school? (Seems like the summers just keep getting shorter and shorter!!!!) Anyways, if you know a cool kid heading to school, look at getting them a subscription box to Loot Crate!!! We are still amazed each month at the different items that they seem to find that they put in the monthly box!!! With Loot Crate they will not only get really cool items to decorate their place, they will also be the talk of the town with the clothing items that they include!!! Pour 3oz of Cascade Ice Blueberry Watermelon. Add 1oz of club soda. I am not sure about where you live, but around here we are officially in SUMMER BREAK mode. I know some parents try to plan out the whole summer, others just go with the flow. I am not judging either type, as I know you as a parent know whats best for your situation and your family. That being said, we try to plan a few things... KEY WORD IS TRY. One thing we plan each year is Vacation Bible School, another we try to do is something fun and this year we will be hitting up Zoo Atlanta. Other than that, we just sort of let summer be full of random lazy days and adventure when we can. FTC Compliant Review Policy: The product(s) featured in this review were provided free of cost to me by the manufacturer or representing PR agency for the sole purpose of product testing. Opinions expressed are my own and are NOT influenced by monetary compensation. Grab your children and get to playing outside!!!! 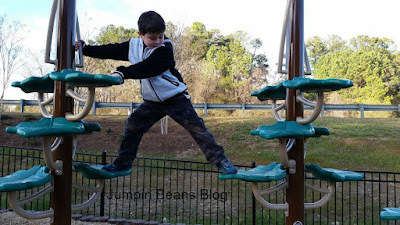 Outdoor play is very much needed for all children. The following post is from an email I received about Special Needs children benefiting from outdoor play, but I honestly feel that this is good to know for all children. That being said, get up, get out and PLAY!!!!! Head outdoors, the yard, the park, somewhere soon!!!! Mommy Camp? Farm Week? Help from the Bubble Guppies!!! You know what I have started noticing more and more, thanks to Social Media? Mommy Camps!! In case you don't know, let me share with you! Some moms have started doing themed weeks. You pick a subject and do different activities to go along with the theme for the week. Sort of like a summer camp at home. 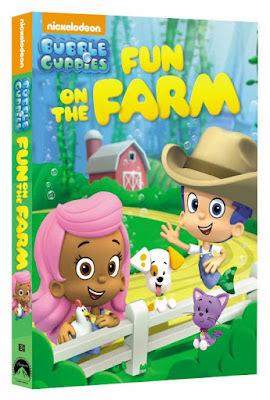 I recently received the new Bubble Guppies DVD - Fun on the Farm and it would be great to tie in to a Farming week. You could read books about farming, watch this DVD, try to plan a garden at your house and if you look online, you might be able to find a farm near you that will allow you to take a little "Field trip" to work into the fun week!!!! In case you did not know it, those Teenage Mutant Ninja Turtles have just released a movie in the theaters!!! It came out on June 3rd. For those of us that just can not seem to find time to get to the theater (or those that like the animated turtles more) you can rest assured, you are being looked after too!!! 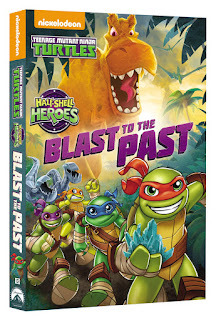 Nickelodeon has recently released a new DVD - Blast to the Past!!!! I don't know about you, but I really love the graphics on this cover!!!! Don't the turtles just look like FUN???? Know a #ZulilyCutie ? Enter the contest!!! Do you think you have a #zulilycutie in your life?? Well, if so, you are in luck!!! 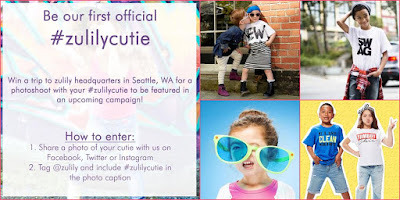 Zulily is looking for the first ever official #zulilycutie and its pretty simple to enter. Good Luck!!! 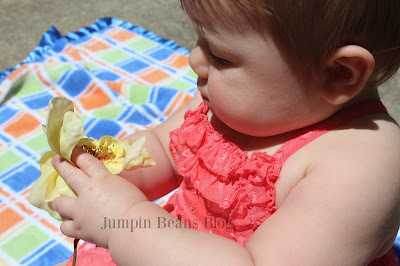 Why - Zulily is looking!!!! So, what is a #zulilycutie? It’s an adorable kid with a unique style, personality and sense of fun. Above all, we’re looking for a cutie who embodies our zulily spirit. At zulily, what makes us unique is our use of real people as models to tell a story around the products our customers love. Our models are every day you and me, unique in all the best ways! 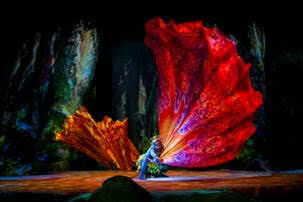 I have been lucky enough to see a Cirque du Soleil show in the past. Let me just tell you this, if you have never seen a show, you need to go ahead and put that on your bucket list now. It is amazing. There really are no words to describe it other than awesome, so I will just have to leave it at that. I received the email about this and wanted to share with you all. Let me know if you have ever been to a show. Awesome, right?? The information below is about the new performance headed to the Atlanta area. Gardening Classes offered from @pikenurseries this june. Check it out!!! If you are near any of the Pike Nurseries locations, you might want to check this out. I received this email and wanted to share, This is not a sponsored post. Pike Nurseries to host gardening classes in June. FREE classes are in full bloom at local garden center.